Krishnapuram Palace is situated in Alappuzha district. It is considered as a protected monument by the Archaeological department. 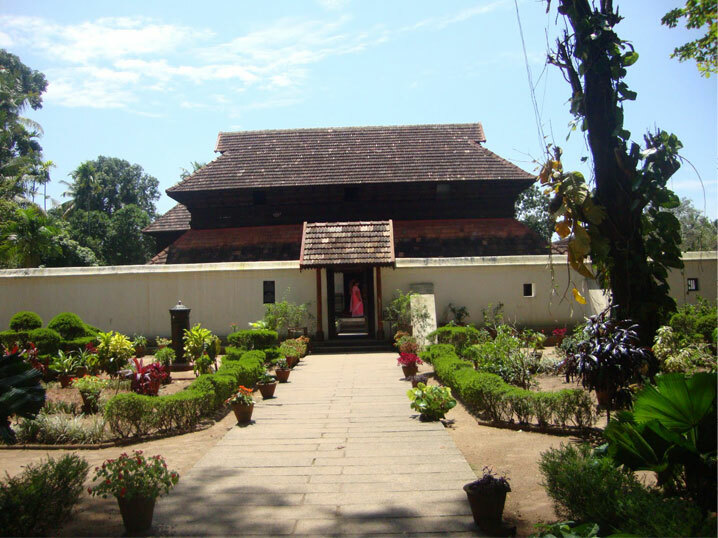 It was constructed in the 18th century during the period of Marthanda Varma. This palace is famous for its architecture and wall paintings. The palace is built in traditional Kerala style architecture that has gabled and pent roofs, narrow corridors etc. There is a mural called as Gajendra Moksha which is the largest mural painting in Kerala done on a single wall. The museum has articles such as mural paintings, coins, sculptures and statues made of stone, bronze and wood. There is a garden nearby to this palace which has a large variety of plants. A statue of Buddha has been constructed recently and is called as the Buddha Mandapam.